The TR3b is a known triangular aircraft that was "possibly" a back engineered piece of gold but was only made possible from a real crashed UFO. 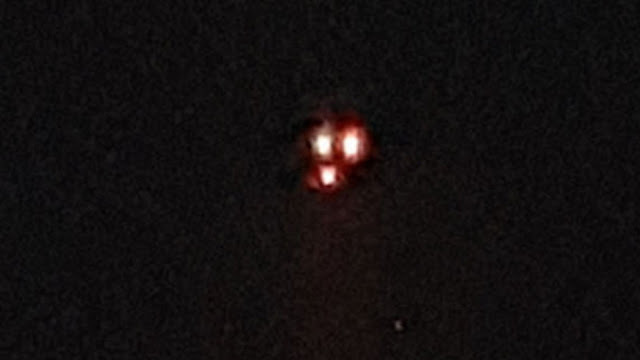 And now this craft (or our TR3b) has utilised some components from the downed UFO or crashed unidentified flying object and has integrated all of the technology. All of which can be understood and broken down also remade - using existing materials and methods from this planet. Why? Because they only want what they can make again and again to eventually have a fleet, a fully stocked fleet of aircraft that is capable of some of the most unusual, mind blowing and very otherworldly missions! And I believe that they have that now? It's as simple as that really? 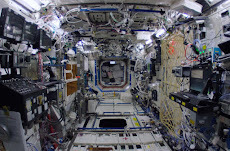 They want and got a craft that can operate here on Earth and in space. High altitude jets was mankind's real achievement (on our own achievement) it was a fully man made jet aircraft. 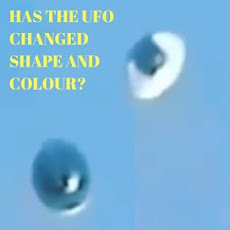 Then when we come across the Alien technology and as you well know by now, that has allowed us to travel from Earth in to space in way that we could of only been imagined. Aliens have allowed Trump to announce a Space Force because without their influence or crafts our Space Force wouldn't of been possible at all. What else is going to be announced by Trump? What other amazing things are going to be announced? Think about it, a Space Force primary function will be to protect us, but against what? Russia? Well they're on Earth plus we already have a military for that! So why has he announced a Space Force, because of what is to come, the next news is that Aliens are real and they exist but don't worry because like he already said "we have a Space Force" to rely on and to protect us. 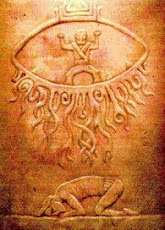 The technology from that was put in to a whole new craft (the TR3b) and because it has a mix of Alien and human technology it literally has the best of both worlds so-to-speak. The top secret project Aurora developed a craft under the code name Astra which was for tactical reconnaissance. After researching this amazing craft it is quite possibly one of the best aircraft's out there that is in the militaries arsenal. 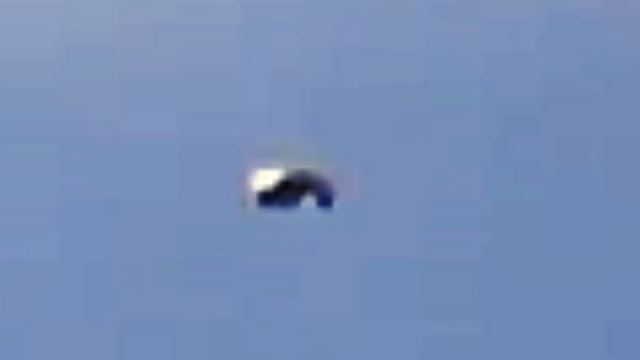 It's definitely stealthy, can fly at practically any speeds it wants and has been seen because it's just unfortunate. 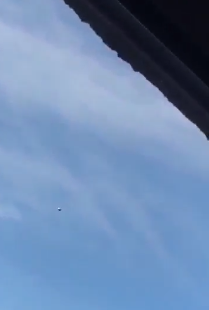 I say unfortunate because it's designed not to be seen, heard or known about so to have photographed it and videoed it or even know about it, that must of become about by accident? Like someone was in the right place at the right time to catch it off guard. 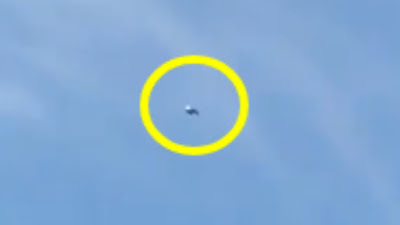 UFO investigators claim a legendary alleged top secret US spy craft, developed using alien technology, may have been caught on video camera. 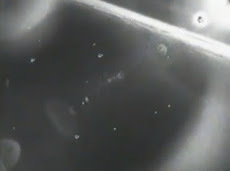 Researchers are looking at footage showing three glowing lights filmed over Barrie, Ontario, in Canada. 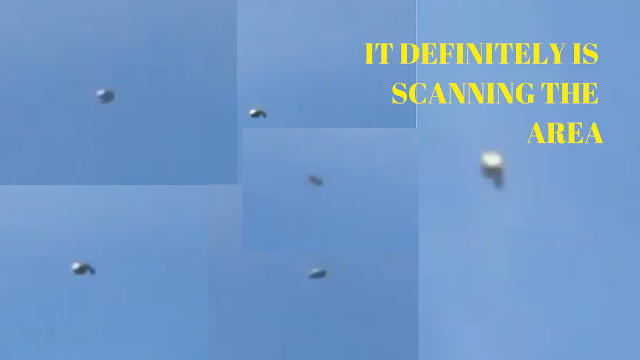 The sighting was reported to the US-based Mutual UFO Network (MUFON), which holds a global database of UFO and alien alleged sightings. 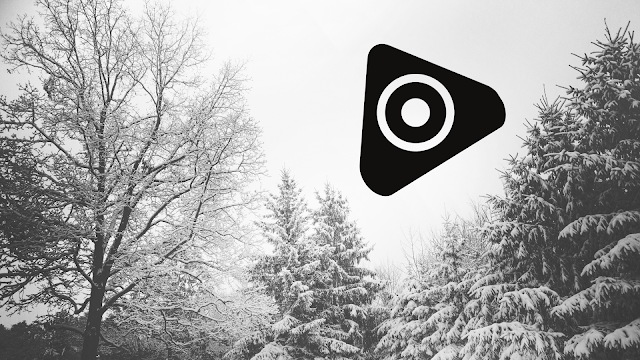 So we will let you know more about it when we know more. 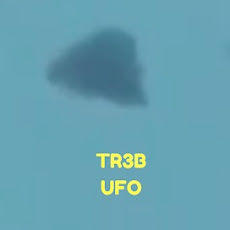 Here is a video about seeing the TR3b over Paris, France in 2008. 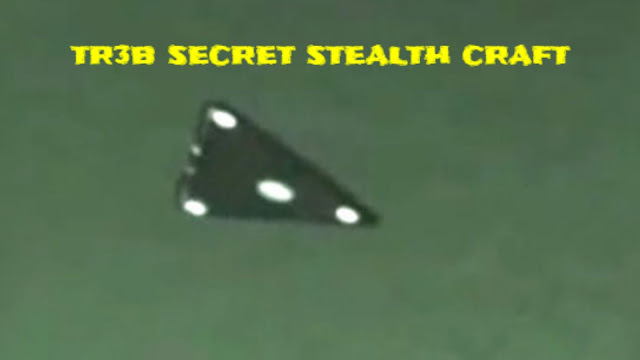 Whether or not the craft in the above video is actually a TR-3B may never be known, but it is a triangular shape with an arrangement of bright lights on the underside of the craft at the corners and center of the triangle. 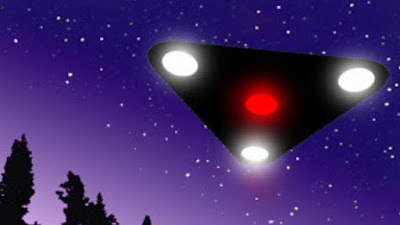 TR-3B Code Named Astra According to an article at the DarkGovernment website, The TR-3B is a tactical reconnaissance craft code named Astra which has been developed under the top secret Aurora program. “The Aurora is the most classified aerospace development program in existence. The TR-3B is the most exotic vehicle created by the Aurora Program. 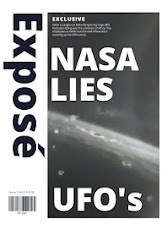 Source DarkGovernment Rout Out The Truth. How did this fascinating and extremely controversial, ancient and marvel of the ancient age get built without anything remotely existing that could get the job done "and" get it done to such a magnificent standard, that it can't even be done today using the technology that we "think" they had? You see that word think? Well actually in plain terms there's no way that this was made by using "of the times methods" of construction that even predates the Incas. Seriously even if they had the worlds best architect to plan everything and use strategies, there's no way it could of been achieved using the tools they had to hand. So it is suggested that advanced machinery was used by Aliens or by people with special powers and that this place is actually as old as hundreds of thousands of years old. Puma Punka was an abandoned city (apparently, but how do they know that and if they know that - when was it abandoned?) which was part of the conquered area that the Incas took over. They moved in yadda yadda and still we have no answers? It was a place which only came to light because the Incas moved right on in and incorporated it in to their own empire. Puma Punka was incorporated in to the ancient city of Tiwanaku, that's a fact. This doesn't sit right with me because it just came out of the jungle and literally has all the hallmarks of been part of some intelligently built city by an advanced peoples and culture with strange symbols that are everywhere still to this day they survive in excellent condition? Plus the building of the place could not be done! There is that don't forget. 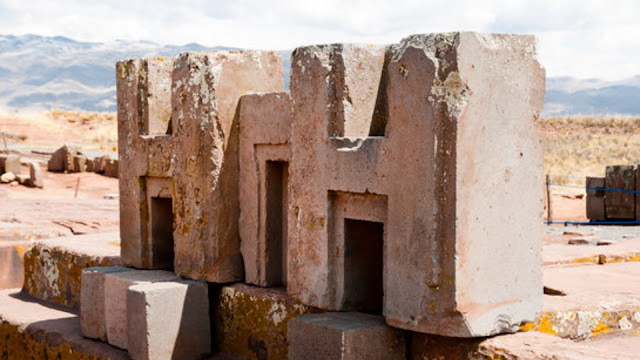 The Incas believed that Puma Punku was the place where Viracocha, their deity of creation, created the ancestral people of all ethnicity and races and sent them out into the world to populate their respective lands and areas. But, they didn't even know it existed before they moved in so how do they know this and they moved in because it was abandoned right! I don't get that? How, what and where? So if they believed this then it cannot of been their original cultural belief because they didn't know about Puma Punku right? It's like saying that London is our cultural heartland but not even knowing it existed. 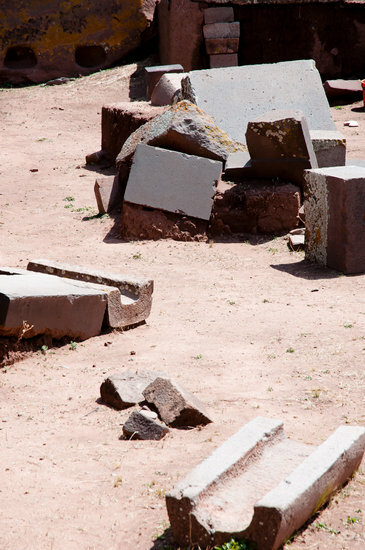 They must of found Puma Punku then wrote all that in to their beliefs. Which came first the egg or the Chicken and either way this doesn't stand up to any kind of logic! 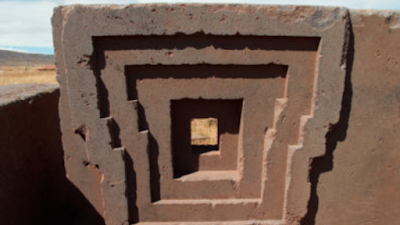 Is this made up by an organisation to get us to think that this was attributed to a peoples because there really is no explanation for it (Puma Punku) existing but yet it does exist and it has all the hall marks of being made by Aliens, I wonder. 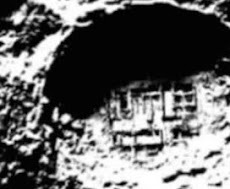 So this is my question, what was there, already "why we are been denied the knowledge of Puma Punku" what was it that made the Incas change their whole culture, religion and beliefs plus their understanding and even their own creation story got changed to this one we have now! What the hell went on back then that we are been denied the knowledge of? The Incas were not idiots, they was a supreme peoples with supreme abilities and they had advanced everything "for the times". The Incas had reason, they had knowledge and they certainly had something which enticed them from Puma Punku to change their whole beliefs as a one people system. That is like us modern day people, all of a sudden finding a hidden city in the forest and taking it over and living in it, changing our culture and our religion and our creation story. Their ancestors lived and died for their previous cultural beliefs and their previous ways of life so again I ask, what the hell was in this city called Puma Punku, which just appeared from nowhere and made the Incas change everything? Was it abandoned by a people that had either enough of it and walked away or did they all die in a way as yet unknown? 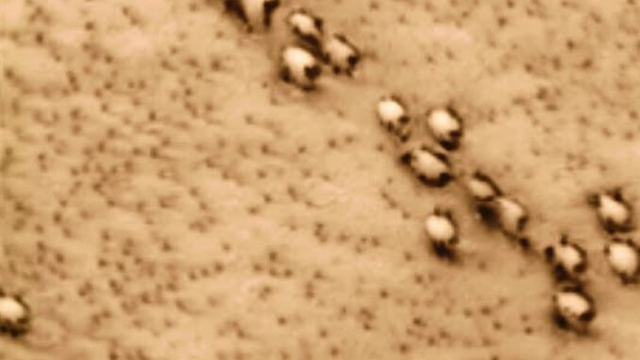 Was it because "they" left Earth (literally) or did they simply abandon it to move elsewhere on Earth - if so the who were they and where did they go? 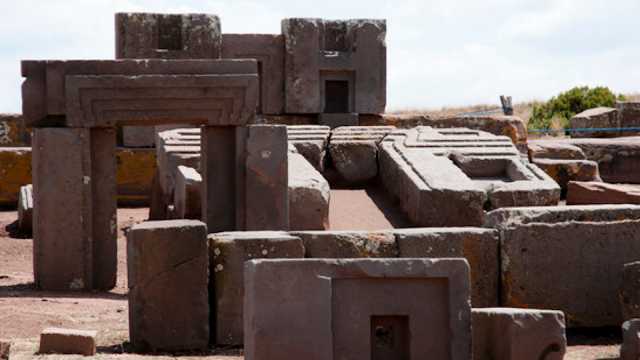 Ancient Origins has researched this topic at length so it was only natural that the questions I had about Puma Punku I went there to research, but actually it too cannot give us a time frame on when Puma Punku was established or created, built or transformed. They can give us a few educated guesses but that's it. All links for reference are at the bottom. So yet again, with the age of Puma Punku in dispute, it could be hundreds of years old or thousands and thousands of years old depending on who you ask? So what other so-called facts can we check up on, it's Puma Punku so everything is up for discussion by everyone and their Budgie? But that's for another day and another story otherwise this post will become a book and it's long enough already, lol. Here's a great video you should see from Zeg TV Hidden From The Public. Source Reference The Epoch Times. Source Zeg TV Hidden From The Public.